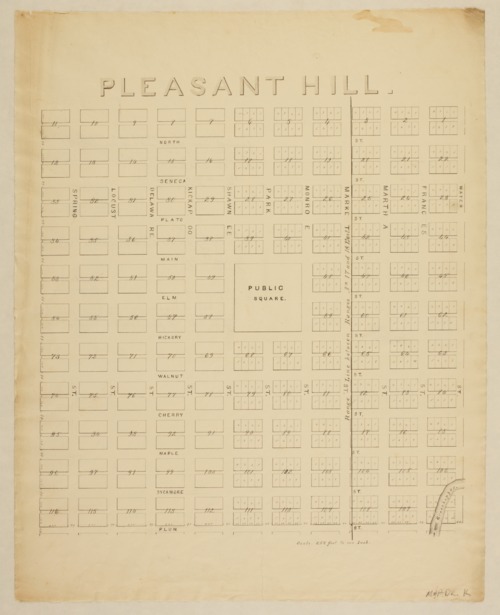 A map of Pleasant Hill, Kansas, showing streets, lots, and the public square. There are several handwritten notes by J. Calhoun, Surveyor General, certifying the map's authenticity. The location of Pleasant Hill is noted as 39 miles from Fort Leavenworth on the military road to Fort Riley.